What exactly was he trying to do with the jack anyway?? Pry the car out? You could have just let some air out of the tires. 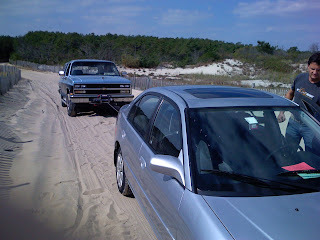 We DID let the air out of the tires. It didn't work. 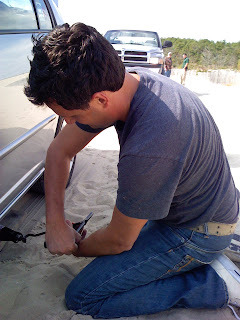 I was jacking up the car to pack wet sand back under the tires. 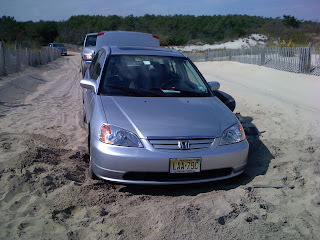 The tires had pushed so much dry sand out that the car was sitting on it's chassis.